Rock Run Preserve plays an important role in protecting habitat for an astonishing 28 species of ferns, 14 species of reptiles and amphibians, bobcats, and maybe even some of Ohio’s last colonies of Allegheny wood rats. 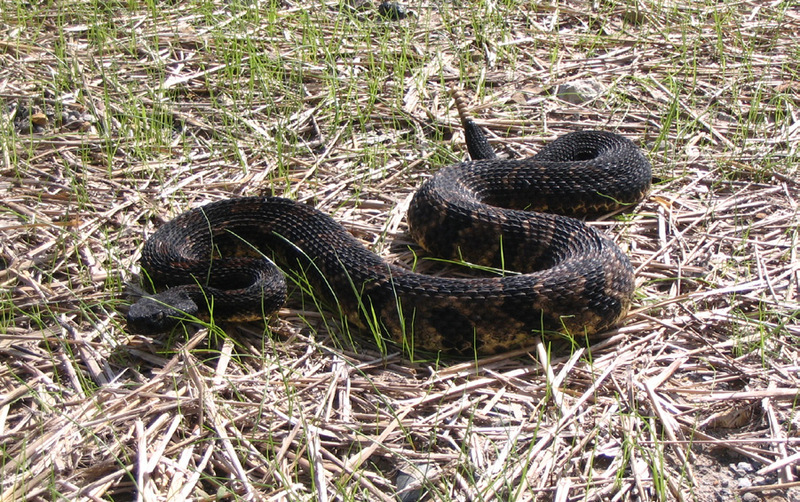 Notably it provides summer habitat for timber rattlesnakes – one of Ohio’s best insurance policy for keeping timber rattlesnakes alive through the 21st century. Robust Biodiversity. Rock Run’s forest floor botanicals are spectacular.The lower slopes of the preserve are covered with mats of wild ginger, dwarf crested iris, and occasional specimens of the very rare nodding mandarin. 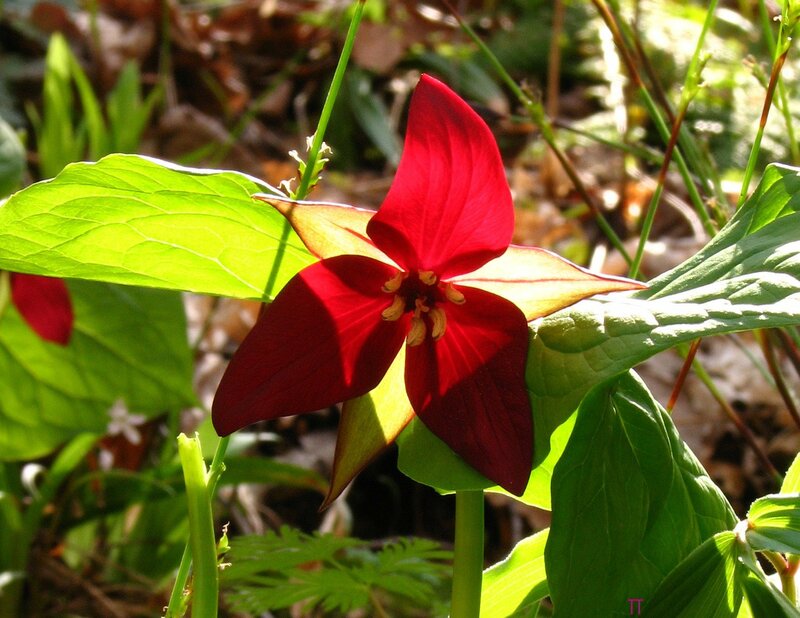 In the deepest coves, colonies of robust Trillium erectum, the red wake robin, grow. A small but interesting mint provides a woodland carpet in many areas, Meehania cordata, or Meehan’s mint. 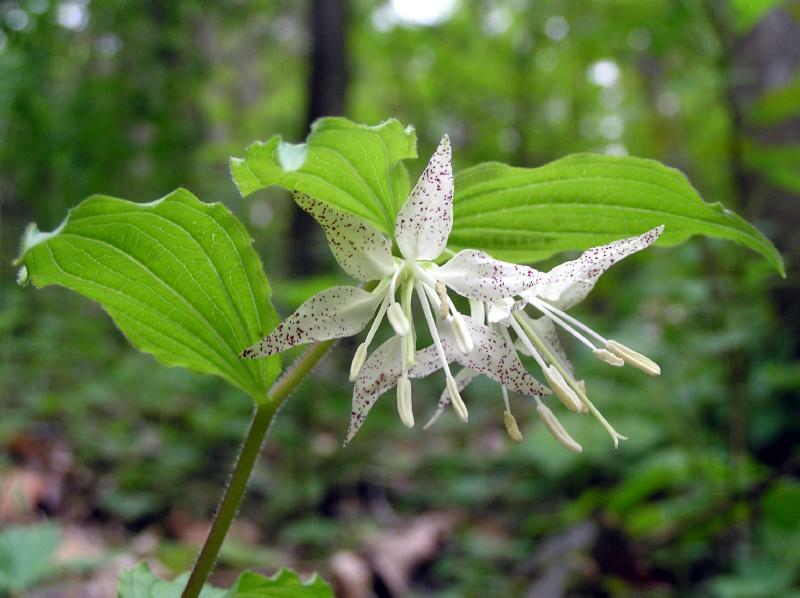 It is the only species in its genera in the entire U.S. but it has at least one counterpart in the Asian temperate forest—Meehania urticifolia which grows in the mountain forests in the Honshu region of Japan. 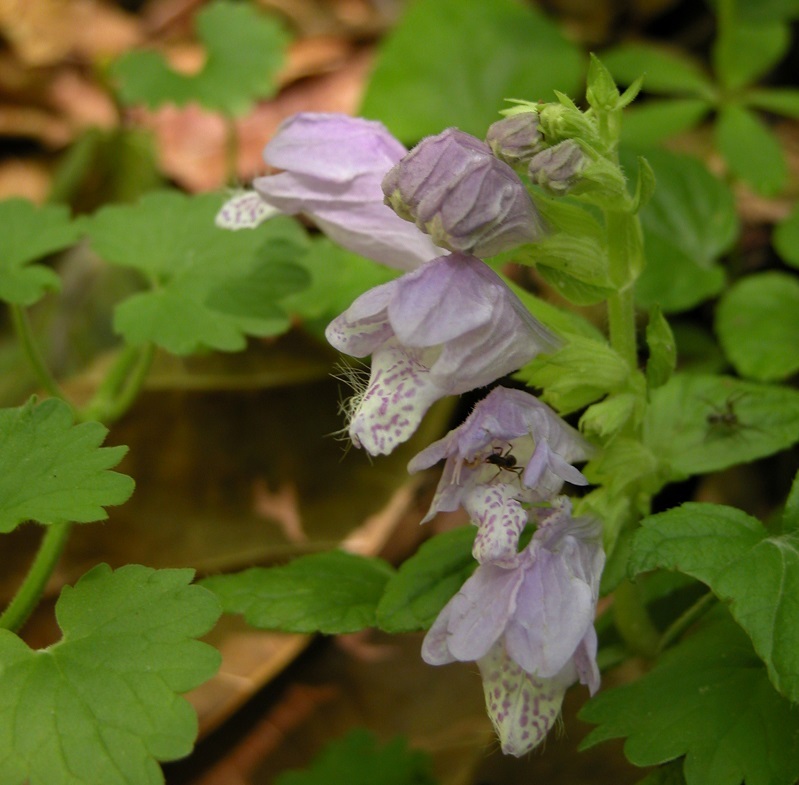 In Ohio, Meehania cordata is an unusual find and we were delighted to see its cheerful flowers at Rock Run. Protecting the Ohio River’s Sand Dunes. 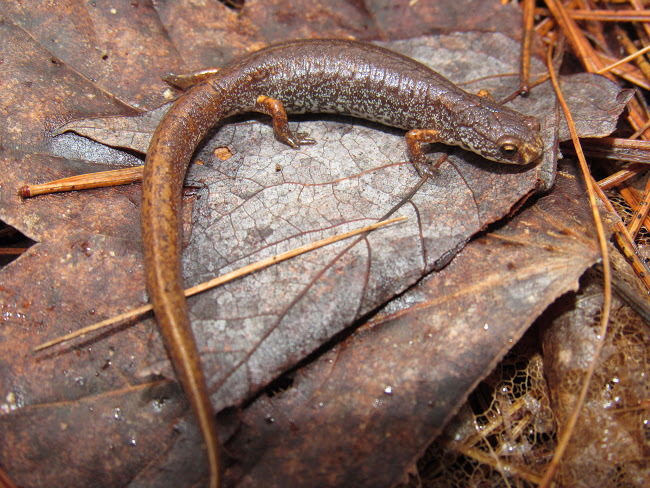 The expansion to Rock Run in 2009 contributed two new and very rare ecosystems to the Arc’s preserve system: Black Oak Sand Barrens and Meadow-Beauty-Beaksedge-Hillside-Seeps. This tract lies in what is known as the Sandy Springs region of the Ohio River, where large quantities of river sand accumulated in drifts and sandbars along the base of the bluffs during the Pleistocene Age. Where natural springs emerge from the base of the cliffs, they work their way through the sand, forming quicksand, which inspired the place name of Sandy Springs. These sandy soils boast a fascinating array of botanicals. On the Arc’s new acquisition, there are acres of an unusual prickly pear cactus garden. Rock Run – Epicenter for Paleo-Indian Activity. The Rock Run region shelters the most extensive sand deposits to exist anywhere in the entire Ohio Valley in an area known as Sandy Springs. Our existing Rock Run Preserve protects the hub of Rock Run’s ancient and not-so-ancient sand dunes, composing a landscape that has produced the highest number of Paleo-Indian artifacts in the state. The Sandy Spring region was a premier hunting and gathering spot for indigenous nomadic peoples 11,000 plus years ago, at at time the great continental glaciers were melting out of Ohio and the climate was both unpredictable and unstable.